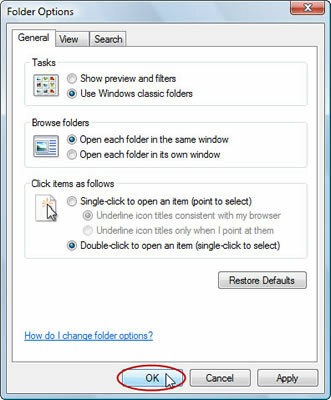 1Click the Organize button, and then choose Folder and Search Options from the menu. 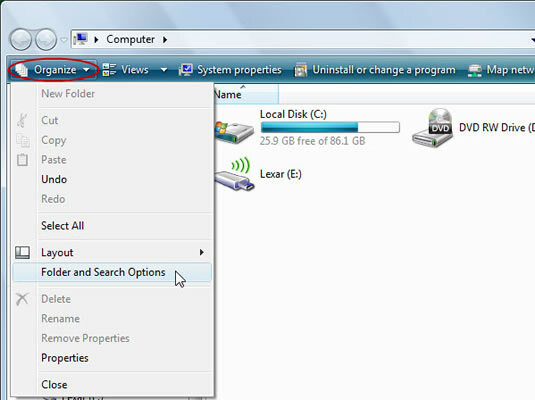 The Folder Options dialog box appears, opened to the General tab. 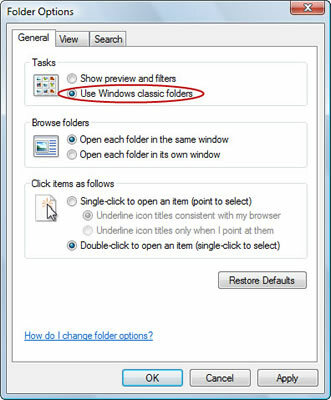 2In the Tasks section, select Use Windows Classic Folders. 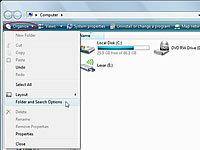 The folders revert to an older style of display that shows the menu bar.